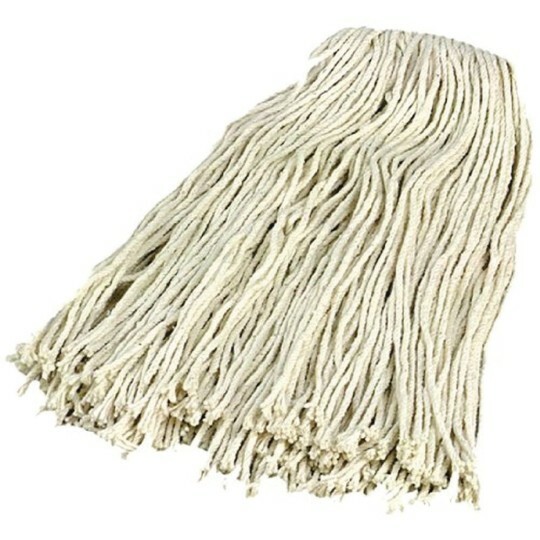 Flo-Pac #16 Small Mop Head has natural 18" long cotton mop head for high absorbency and long wear. Use with W13585 and other mop handles. Cotton mop head provides high absorbency and long wear. 18"L Flo-Pac #16 small mop head, natural color. Handles sold separately. Use with W13585 and other mop handles.